Despite the many restaurants in Khan Market, things were getting a little boring as far as breakfast options were concerned. Although Smoke House Deli, Blue Door Café, Café Turtle and Choko La are all great in their own individual offerings, regulars still needed more choice. 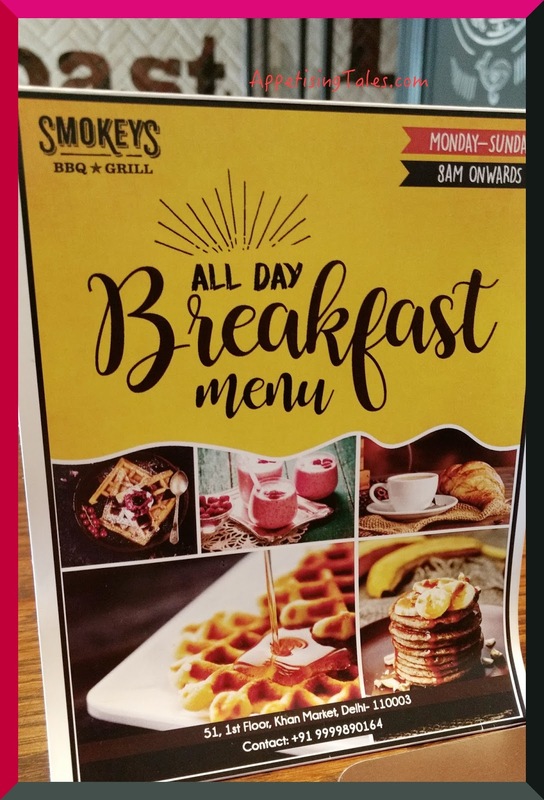 Offering exactly that is Smokey’s - with their all-day breakfast menu that is available from 8am, Monday-Sunday. The exhaustive breakfast menu offers 3-4 varieties in each of the categories – scrambled eggs, fried skillet, bagels, sandwiches, benedicts, breakfast platters, country fresh eggs cooked to order and pancakes. There is also a choice of fruit bowl, cereals, smoothies and shakes. 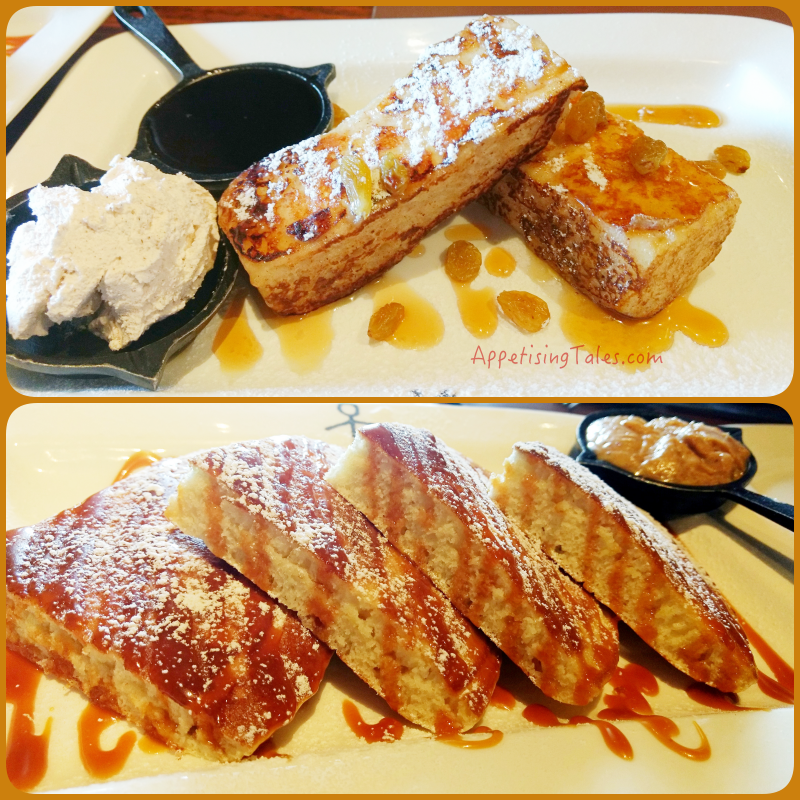 From what we tried, the Raisin French Toast (Rs 240) is fantastic! The brioche dipped in custard batter is grilled with raisins, dusted with powdered sugar and served with maple syrup and cinnamon cream. 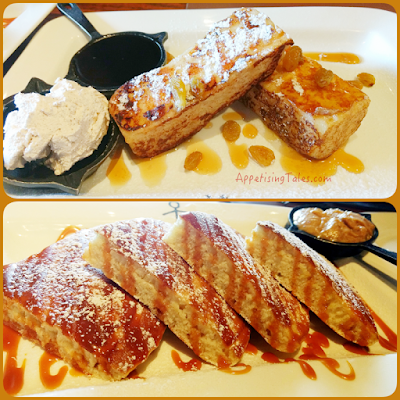 The French toast is perfect for one to sink their teeth into and does not even require the accompaniments. The Butter Scotch Pancakes (Rs 250) are fluffy and come with cinnamon butter. Once again the accompanying butter is not really required since the pancakes are drizzled with butterscotch sauce. Also on offer are Plain n Simple Pancakes and the Fruity Granola Pancake that is served with fresh fruits and granola with yoghurt, giving us more reasons to go back for the breakfast at Smokey’s. Our Fluffy Egg White Omelette (Rs 180) turns out to be the fluffiest omelette we have seen. And although we ordered it with mushrooms, we didn’t realise that the mushrooms will be served on the side and the omelette will remain a tad bland despite the visual appeal it offers. 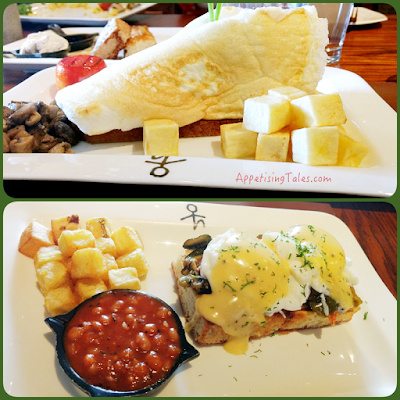 From the choice of eggs benedict we are intrigued by the Veggie Benedict (Rs 280) simply because a veggie option is new to us. It comes with grilled peppers and zucchini, and is probably a good choice for eggetarians. However, we will stick to the good ol’ salmon or ham options the next time. The Hollandaise sauce is certainly not the best we’ve had, but then I haven’t come across many places in Delhi that get it right anyway. Overall, the Smokey’s breakfast menu gets a thumbs up from me; the wide array of choice reflects enough thought into the creation of this menu. And that heavenly French toast is going to pull me back for more. 51, 1st Floor, Khan Market, New Delhi-110003.